If you’re planning to propose, you’ve probably been thinking about how you can make it as special and memorable as possible. Many people use their location as their main backdrop, and the more out there, the better. For a proposal that’s sure to make an impression on your loved one, get down on one knee at one of these uniquely unorthodox destinations. Death Valley may not sound like it’s dripping with romance, but the lowest point in North America is the perfect place if you enjoy peace and solitude. The basin is essentially a salty, waterless pool that extends for more than 5 miles, bordered by the Sierra Nevada mountains. This combination gives it an “wild west” vibe, where you’ll be surrounded by a rich contrast of pastels and the stark, blinding white color of the basin floor. Although this place has risen in popularity since it’s become a favorite among Instagram influencers, few spots share its charm. Aside from sitting in a tropical paradise on one of the Exuma islands, this beach is frequented by feral pigs that also like to sunbathe and swim in the sea. If you’re looking for a great photo-op when you decide to pop the question, you can’t go wrong with crystal clear water, white sand, and adorable animals. This island is also relatively small, so you’ll feel like the world is stopping for your big moment. Adrenaline junkies have been proposing on mountaintops for as long as the tradition has been in practice. However, you can take the experience up a notch by climbing one of the most impressive mountains in the United States. The trek up is not for the faint of heart, but the views will be etched into your memories for years and years. Just make sure to bring a lot of water and some stamina, because the uppermost point reaches more than 8,800 feet above sea level. If you’re lucky enough to plan the moment at sunset, you’ll watch the valley below illuminate with warm, bright light before the stars appear above you. Hiking to the top is an event in and of itself, but adding a ring will make it an unforgettable experience for both you and your fiance. This part of the Middle East is saturated with deep history, but none are as eclectic and impressive as Al-Khazneh (The Treasury, in Arabic). Originally built as a mausoleum, it’s the most notable structures of its kind. 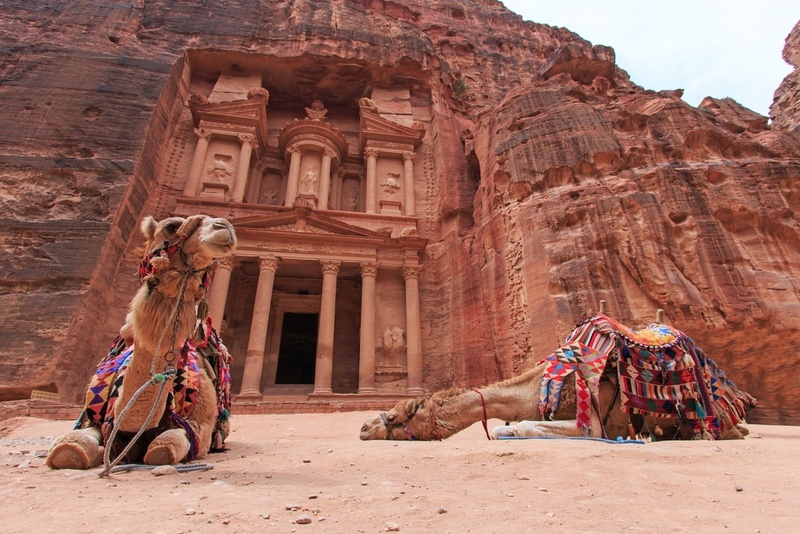 The building is carved out of a sandstone rockface, similar to others in the ancient city. It’s becoming a popular tourist destination, but it’s still relatively untouched compared to other top tourist sites in the area. If you really want to make a statement, why not propose in the middle of the world? This city in South America sits directly on the equator, straddling the line between the northern and southern hemispheres. To find the exact spot where the two hemispheres meet, visit the Quitsato Sundial. While you’re there, you can effectively propose in both sides of the world at once if you kneel down on the right spot. This is turning into one of the most popular spots for holiday goers in Thailand, but that doesn’t mean it’s not worth a visit. Where else can you catch a tan while being surrounded by monkeys? “Monkey Beach” is located in Koh Phi Phi Don, and it’s described by many as a little piece of paradise. Surrounded by sky-high cliff faces and lush coves, it’s the perfect spot for anyone who loves tropical scenery and azure water. The best part? It’s inhabited by a colony of monkeys that have become accustomed to the islands visitors. Just be prepared, because they are definitely not shy. The Catacombes de Paris is a remarkable piece of the city’s long-running history – with a macabre twist. This is one portion of a network of tunnels that runs under the entire city, and it holds the remains of more than 6 million people. After you climb down a narrow spiral staircase (and 130 steps), you’ll find yourself in noticeably cooler temperatures and an eerie presence of latin signage and – of course – thousands of bones. The aesthetic part of the tunnels is made primarily of intricately arranged skulls and femurs. This is probably the best place you could propose if your partner happens to be into morbid art or history. Skógafoss is one of Iceland’s largest and most spectacular waterfalls. There are at least 10,000 waterfalls in the country, but few compare to the volume and stature of Skógafoss. For nature lovers, this spot is a utopia of rolling green hills, rushing water, and crisp air. You might have to raise your voice if you stand too close, but Skógafoss is a jaw-dropping backdrop. A nearly 200-foot waterfall is as dramatic as it gets. Central Park is not a secret, untouched destination by any means. However, it’s both an engagement cliche and a step out of the norm because of everything it offers. Rather than going for the typical skyline-in-the-distance facade, you can step in front of a flash mob to pop the question. Or, enlist the help of a local busker to add an element of entertainment. Turn something ordinary into a unique surprise by stepping outside of the norm for your Central Park proposal. 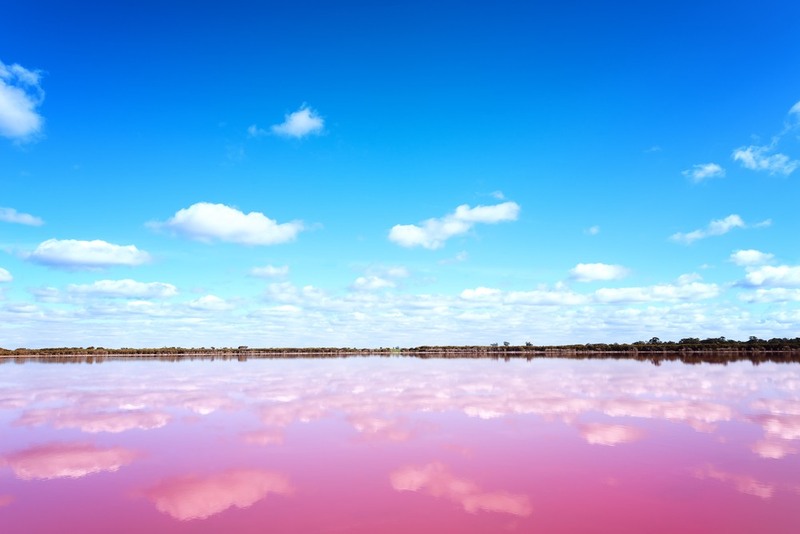 There are a few different pink-colored lakes in Australia, but Spencer Lake is the most vibrant and striking. A combination of algae and salt concentration gives Spencer Lake its rosy hue. It doesn’t always maintain this color, so be sure to do your research before you book your trip. But, where else can you see something like that? Your proposal is sure to feel like something out of a fantasy story book with a bright pink lake in the background. How you present your engagement is a moment that will likely stick with both of you for the rest of your lives. Instead of recreating something standard and overdone, that you found on Pinterest, why not take a step out of the ordinary for a truly mind-blowing proposal?